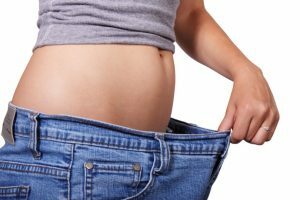 Why is a Tummy Tuck such a popular procedure? As women, our weight changes naturally throughout our lives. These fluctuations with the additional stretching from pregnancy create sagging skin and a loose abdominal wall. Pregnancy stretches you from the inside out, affecting the core muscles of your “six-pack” and your overlying skin. Even maximal weight loss and diet after pregnancy cannot restore the pre-pregnancy figure you are used to seeing in the mirror. Your husband may be able to wear the same clothes from your wedding day, but ladies, nature is working against us in this case! A Tummy Tuck, or Abdominoplasty, may be the solution. Here are Before and After pictures of a patient that had a Tummy Tuck with Liposuction by Dr. Tannan. Slide the cursor to see the amazing difference that a Tummy Tuck makes. Restore confidence in your body and reclaim your silhouette! A Tummy Tuck will stretch your skin over your underlying abdomen and remove the extra, sagging skin and fat. This is not a weight loss operation. Rather, it is a shaping technique to consider after you have lost all the weight you hope to lose. If you are not planning any future pregnancies and if you have been at a stable weight for 3-6 months, then the timing might be right for a Tummy Tuck. The price for Tummy Tuck surgery shouldn’t be a mystery. That’s why we put together the Plastic Surgery Cost Calculator, a fantastic resource just a click away. Here you can find the average cost for a Tummy Tuck and other popular cosmetic surgery procedures. What is the recovery like after Tummy Tuck surgery? Recovery generally involves 6 weeks of low-impact activity to allow all the internal work to heal. You will be able to do more strenuous activity after that initial break. We recommend that young mothers plan to have help (family, friends, or neighbors) during the first couple of weeks while your body is actively adjusting. Plan out your Tummy Tuck surgery recovery timeline using our Plastic Surgery Recovery Calculator. Click Here to Schedule a Tummy Tuck Consultation!